Milling. We excel in the milling of titanium, plastic, stainless steel and aluminum. 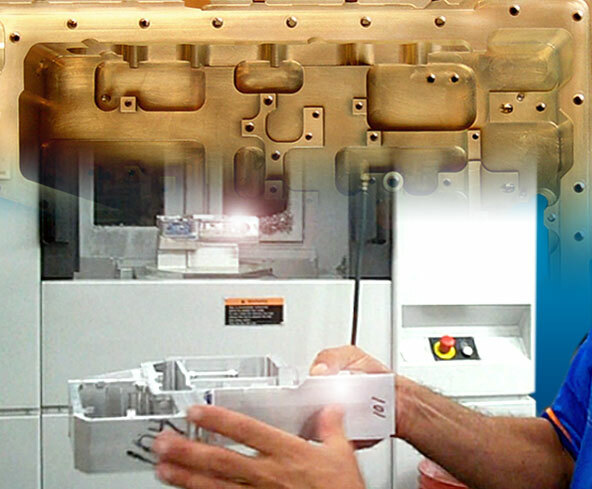 Our 18 CNC milling machines give us the capacity to meet your small- or large-run production requirements. Six are twin-spindle, allowing us to easily transition between small runs and larger production runs while remaining price-competitive and maintaining extremely tight tolerances. Our practice of employing highly expert operators (averaging over 14 years of experience) and using only state-of-the-art milling machines gives you the advantages of exceptional quality product and on-time delivery. Check out this short 2-minute video (to the right), in which one of our operators offers valuable milling machine tips. View a list of our CNC Milling Equipment (PDF).